We all know how incredibly chic collar neck kurtis are! 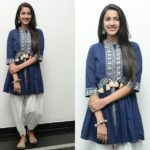 They give a cool vibe to this staple wear, making it the most coveted model among the many kurtis available in the fashion market. 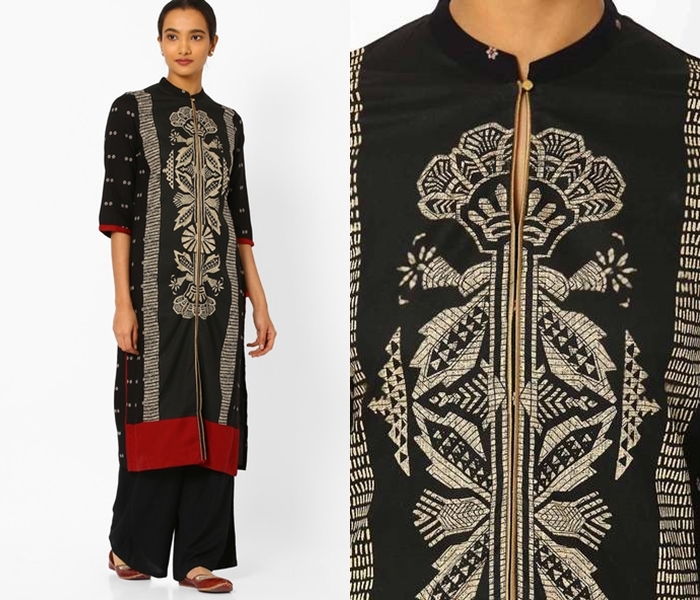 The few detailing around your neck can totally transform your overall kurti style. That’s why, it is essential you invest some time on picking the right neck design for kurtis with collar. Experimenting neck style for collar neck kurtis may sound daunting, especially if you have no clue on where to look for variety of designs. We know your pain points! To ease your search, we have come up with 10 must-try neck designs that goes beautifully well with collar neck kurti. Now, scroll down and take a look on 10 neck designs that is going to flatter you with irresistible collar necks. This is the most basic model, and in fact most preferred one too. It is highly stylish and instantly give modern twist to your kurtis. 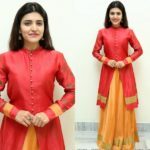 These type of kurti can be worn well at office and college for a professional look. If you play safe, then try this one. It is guaranteed to make you look best on your attire. Collar necks with a sleek slit in the center will make a best choice for long kurthas. 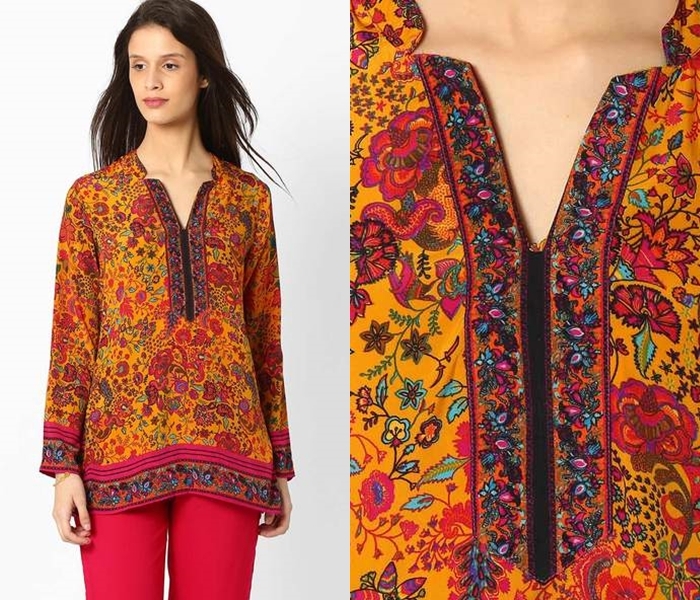 This, together with three-fourth sleeve, will make your kurti look a lot more appealing. While trying this neck design, see if you can get a catchy embroidery around your high neck and the sleek partition in the center. This is another catchy neck design that is going rounds for quite some time. Mainly because, it takes your kurti to a new youthful look. 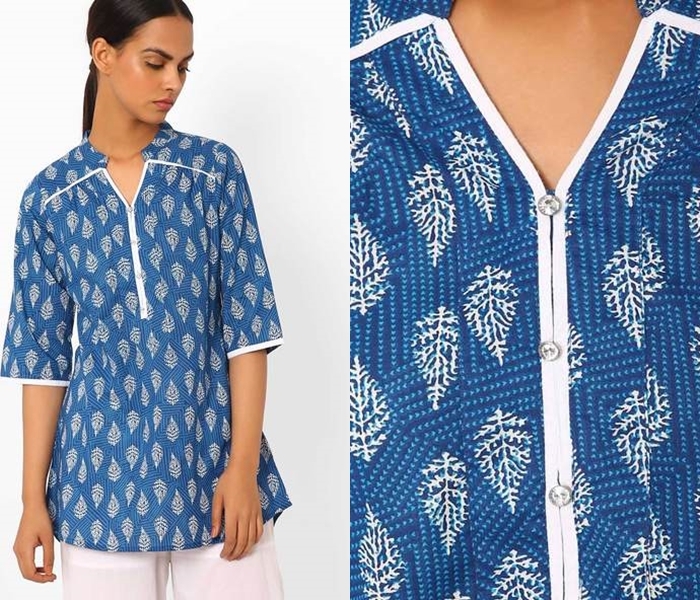 A sleek round corner neck goes well with short shirt style kurti. Some girls don’t prefer to keep their neck close. However, that doesn’t mean you need to miss out the fun that comes along with collar necks. You need to opt for neck designs that has sleek collar in the back and a wide V neck in the front. To take the inspiration, check out the picture below. 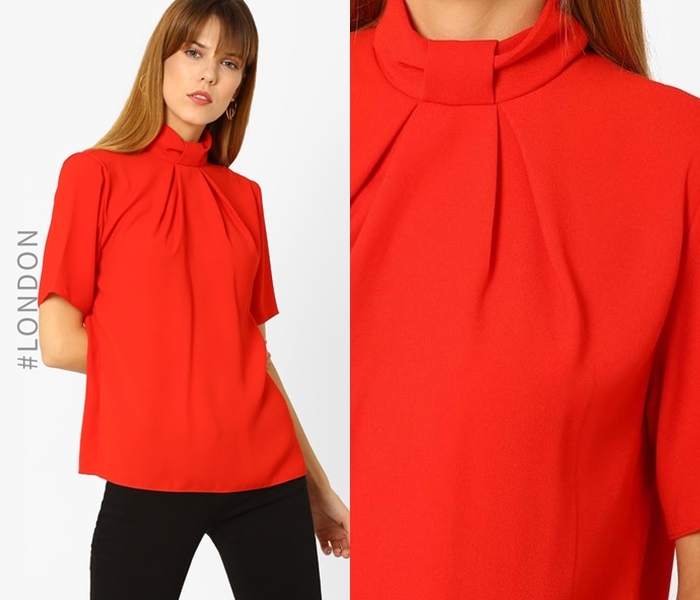 If you like to keep all the attraction around your neck, then you can try simple collar neck styles with creative piping work to do the talking. Buttons and piping work are the two most popular ways to elevate your collar neck. Play with it and see the difference. Another innovative neck design that can actually flatter any person is dual shaded patterns. Two completely contrasting colours when blended properly around your neck is going to make your neck look magical. Don’t trust us? Take a look below. Another creative way to make your collar neck kurti stand out is by adding attractive borders around the neck. There are plenty of readymade borders available in the market. All you have do is, pick the one that goes well with your outfit. 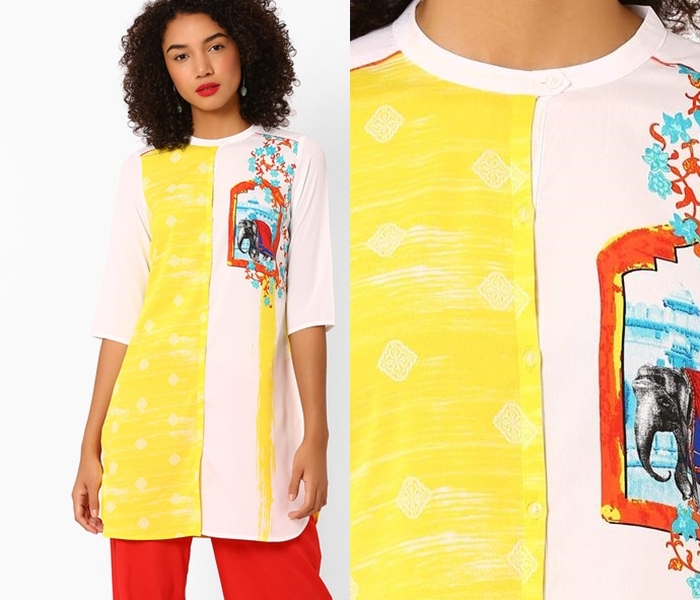 If you want to increase your kurti’s style quotient, then you need to try high cuff neck design like the one below. It is highly stylish and quite elegant one too. 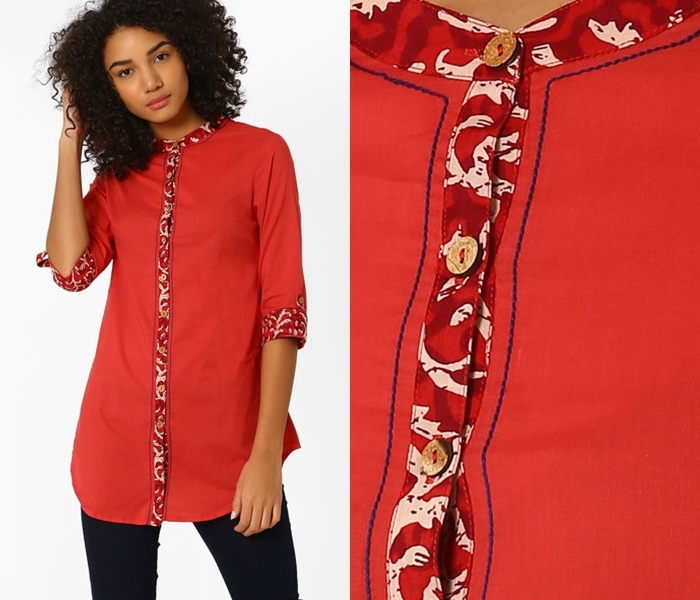 Buttons are great way to add a dash of beauty to your kurti. 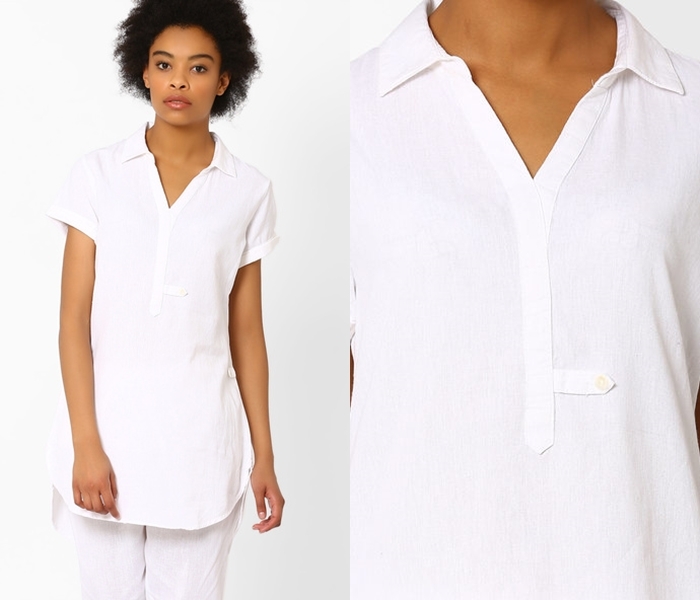 Especially, if you have plain kurtis with collar necks, then try to make it more attractive with catchy buttons. You can either go for sleek or bold ones depending on your personal style. 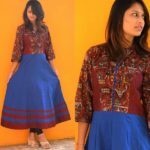 If you have a long buttoned down kurti, then having a high collar neck with sleek button to latch it will make your kurti style outstanding. This goes well with long sleeves and relaxed palazzo pants. 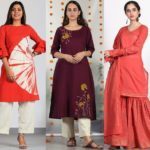 These are our picks of 10 must try neck designs to try with collar neck kurtis. 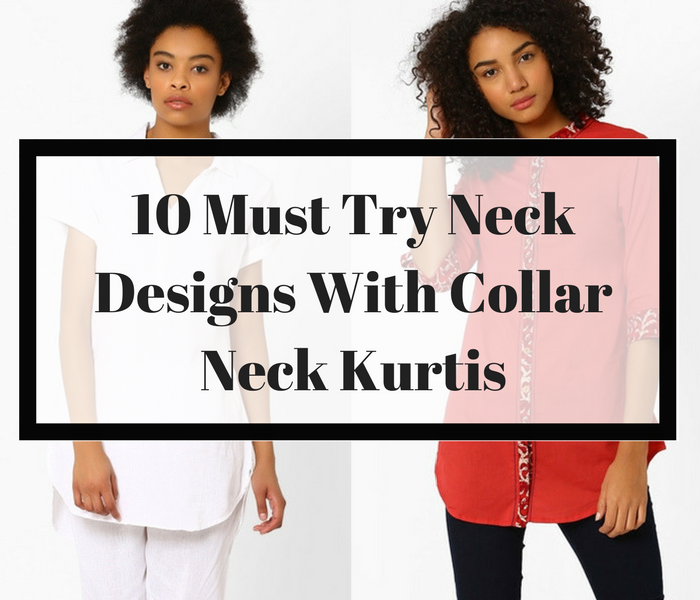 There are plenty of various collar necks available to try with your kurtis. Don’t go boring with default ones. 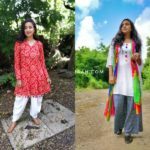 Step out of your comfort zone and do the experimentation to make your kurti style noticeable by others. 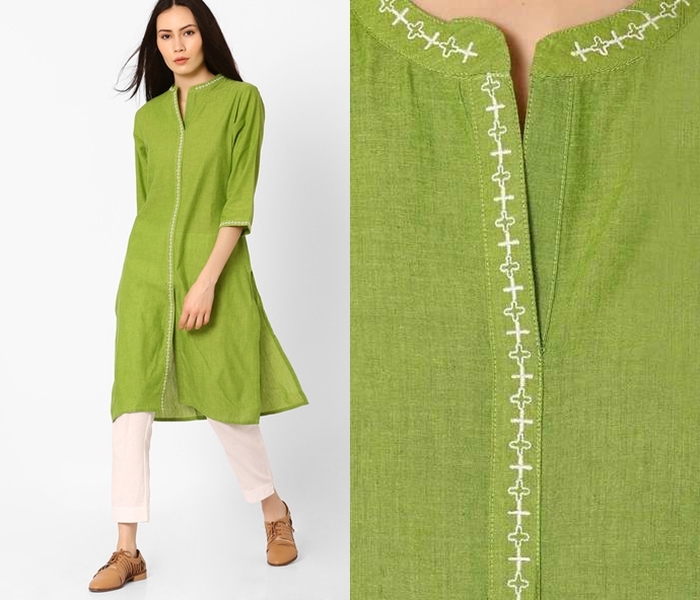 Do you have any kurti neck design in mind, then do drop a comment and let us know! 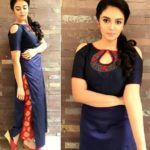 11 Simple & Chic Top Designs/Ideas To Look Ultra Stylish!